Packaging has become a key issue for consumers – and that means it’s also become a key issue for retailers and logistics businesses too. Getting the packaging right helps to ensure that customers have a positive experience and that they will go away with a good impression of the brands involved in the order and delivery process. There are a lot of mistakes that can be made when it comes to packaging – these are the five that tend to generate the most complaints from customers. It may once have been true that consumers didn’t really notice if a very small product arrived in a very large box. Today, that’s simply not the case. Most consumers are very focused on not being part of wasteful processes and that includes avoiding brands that are not sensible when it comes to packaging. One of the most common complaints today involves receiving items that have been packaged inappropriately so it’s important to design packaging that actually fits. The packaging material that is used to cushion the products inside the boxes does a very valuable job. However, consumers are increasingly complaining about the volume of this material, as well as what it’s made of. Packing peanuts, for example, are rarely biodegradable. They can also be difficult to dispose of and may make a mess. Many businesses are now investing in more eco friendly alternatives to packing peanuts, such as popcorn. This is another frequent complaint from customers who may feel they have spent far too much time just trying to get into the packaging. 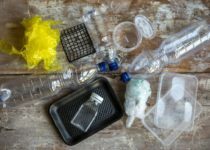 Multiple layers of boxes, packaging peanuts, inner plastic packaging and film are all items that customers will have to find a way to dispose of. It’s often a good idea to rethink how much packaging a product actually needs to arrive safely and without damage. For example, there may be no need for a second outer box. If you have to use packaging for your products then making it creative can help to overcome some of the bad feeling that customers tend to get when faced with lots of packaging layers. For example, instead of packing peanuts, why not invest in inflatable film in distinctive shapes that are consistent with brand imagery? They will not only cushion the products but contribute to brand identity too. Opening a parcel should not create a sinking feeling – more boring packaging that just has to be disposed of. The packaging that you use is a real opportunity to give customers an in-store experience and to contribute to their appreciation of your brand, your products and your values. Creative packaging generates a great first impression and can be used to give the customer an experience that delights in a similar way to shopping in store. We understand the pressures of issues like packaging and how to overcome them. Our services are cost effective and extensive – contact us to see how we could help your business thrive. next post: How can you overcome the issues of reverse logistics as more and more customers expect easy returns?